Stand alone or series: Stand Alone (although one of the secondary characters was the protagonist of the author’s previous book, Frannie in Pieces). Click. Sukie Jamieson takes a selfie after her tennis lesson. Click. She takes one before she has to give a presentation in class. Click. She takes one to be sure there’s nothing in her teeth after eating pizza at Clementi’s. And if she can’t take a selfie, she checks her reflection in windows, spoons, car chrome—anything available, really. So when her mother gives her an exquisite full-length mirror that once belonged to her grandmother, Sukie is thrilled. So thrilled that she doesn’t listen to her mother’s warning: “This mirror will be your best friend and worst enemy.” Because mirrors, as Sukie discovers, show not only the faraway truth but the truth close up. And finding out that close-up truth changes people. Often forever. Why did we recommend this book: We read and reviewed the book a few months ago and we both LOVED it with a passion. Sukie Jamieson is obsessively self-conscious when it comes to her looks. An antique mirror that belonged to her grandmother is probably the last thing she needs, but the most wonderful gift she can imagine having—next to Bobo the quarterback at a nearby high school, that is. When she isn’t taking “selfies” (snapshots via cell-phone camera) of herself, she begins spending time in front of her mirror which, anyone who’s read or studied “The Lady of Shalott” can tell you, metaphorically and literally distorts reality. Sukie takes this to the next level and begins imagining a world beyond her own where Issa, the local pizza parlour waitress, is her best friend and Bobo, quite naturally, is the best boyfriend a girl could ever want. When Thea and Ana approached me about doing a Guest Dare, I had to admit the genres I usually avoid—contemporary YA was near the top of that list. The Girl With the Mermaid Hair started out kind of bizarre; Sukie has a quirky—and strong—voice and even quirkier habits. If she hadn’t explained what “selfies” were, I would have been very confused for the rest of the book. Suffice to say, I wasn’t sure what I’d just gotten myself into. She’s more lonely than she lets on when we realize her interactions with others are very limited, when they are there at all. The family dog, Señor, gets to hear Sukie’s voice more often than her classmates do. But this isn’t a novel about Sukie interacting with others. It’s a novel about Sukie and the world she creates by looking in the mirror. By the end, I was more impressed than I ever imagined I’d be. At times Sukie’s extreme self-consciousness came across as incredibly neurotic. As someone who used to be a teenage girl, I can attest to the truthiness of Sukie’s dilemma and relate to her desire to measure up to not only her father’s standards, or some arbitrary academic scale, but ultimately, to her own impossible criteria. She doesn’t know what it’s like to have real friends, or whether her “ramp” nose is anything other than what a Google search tells her it is. What she does know we come to realize are illusions, the interpretations of a girl determined not to see the forest for the trees because the trees are so lovely up close and who said they were trees anyway? Sukie is essentially caught up in a world of her own making. It’s this fantasy and the heavy emphasis on her grandmother’s mirror that made me draw connections between Tennyson’s poem and Sukie’s habits and dreams. She’s very clueless about the outside world. Her anxiety about being normal or an excellent student are quite without any outside perception, leaving her stranded in a tower she’s created out of her own misgivings and concerns. She interprets these shadows, the lingering affects of her father’s behavior, her mother’s superficial anxieties, these things that are burned into memory as distorted events taken out of context. Perhaps it’s that she doesn’t know to be more discerning. Perhaps she doesn’t know she can be. Whichever it is, Sukie has bound herself to a constant weaving and inventing, an almost frightening similarity to Briony from Ian McEwan’s Atonement, except without the dire literary drama and larger implications therein. She jumps at these imagined scenarios and distorted realities as if they were real and tragically suffers the consequences. It’s when she throws caution to the wind, abandons tennis and academics, alienates her classmates, and spirals to her lowest point that her mirror invokes Tennyson, having “crack’d side to side” (Tennyson, The Lady of Shalott, line 115). As readers we have been looking in a mirror in a sense, too. Sukie and her family aren’t everything we initially thought. Her dad isn’t perfect, her mother’s outrageously obsessive and cruel (albeit pitifully), and Bobo would rather fondle her drunkenly than remember her name, let alone love her. It’s at this crucial point in the novel when Sukie’s imagined world begins to fall apart and she transforms into an entirely different character. Sukie realizes she doesn’t have to imagine her friends or live up to anyone’s expectations. The Sukie of the first half of the book is now much less selfish and privileged. She’s become a lonely girl who couldn’t possibly fathom her friends were in front of her the entire time. Maybe it’s that I read more into The Girl With the Mermaid Hair than necessary, but I really enjoyed finding these literary allusions in Delia Ephron’s book. Not having read Madame Bovary, I can only rely on Ephron’s interpretation that Emma is a woman who lives for her fantasies. I’m inclined to believe her and thought the kinship Sukie felt with Flaubert’s protagonist was whimsical and endearing—a high school student trying to relate to material otherwise anachronistic to her teenage life. Delia Ephron’s writing is strong in the sense that she’s created such a convincing voice for Sukie. I never once felt taken out of her mind or drawn away by a slip that could have threatened to reveal Ephron was really behind it all. I may have picked up on the more obvious hints Sukie didn’t recognize right away (her parents’ behavior, the strange text messages, her phone never ringing), but didn’t mind because I was committed to Sukie’s beliefs about her own life, however strange and orchestrated her narrations were. The Girl With the Mermaid Hair was a pleasant surprise. 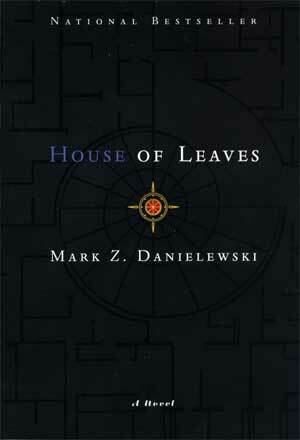 Next on the Guest Dare: Kris of the blog Voracious YAppetite who will be reading Horror novel House of Leaves by Mark Danielewski. Muwahahaha. 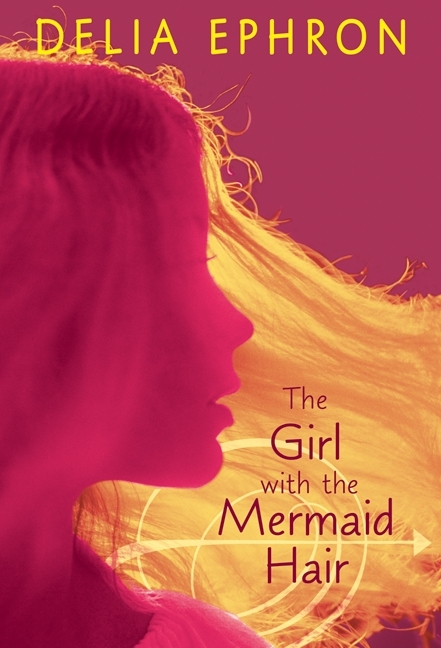 Review: The Girl With the Mermaid Hair by Delia Ephron « Jawas Read, Too! Thanks for the Guest Dare, Ana and Thea! 🙂 It was a blast. Wow, this Sukie has some issues! Glad to hear that she changes through the book.. although I’m concerned that I can’t tell if it’s for the better or for the worse. Great book review. Thanks for sharing this to us. Personally, it made me feel that I need to read this book to know more about it. great review Erika! i fell in love with little bits and pieces of the book, i found it surprisingly complex, like sukie. i agree her voice was SO strong, so much so that i started to believe her “fantasy world” enough that i started to wonder if the book had fantasy/paranormal elements. the only part that i kinda got scrunch-faced over was the reaction of the girls in her class at the end, after everything sukie had done to them. Sukie is so obsessed on how she looks while she’s looking herself in the mirror. She doesn’t stop criticizing herself on every flaws she have. Obsession can be very dangerous to oneself. To elaborate things, it can degrade your self-confidence to be exact.